Phone Interview - Tip 3 -- Where’s the Best Place for a Phone Interview? Click to expand question sets, then click individual questions to read the post. I am very pleased to announce that we are starting another blog series for you (past ones were How to Answer Interview Questions and the Fastest Way to Find a Job). This phone interview series will give you the most essential and extraordinary tips to help you succeed in the super-critical phone interview! Phone interviews are often the very first step of the interview and hiring process. You’re not likely to get a call to come in and interview without some kind of conversation on the phone first. Would you like some free training on How to Answer Interview Questions? Your resume got you the phone call. Now this one 10-minute conversation is THE deciding factor as to whether or not you’ll get the interview. That’s how important it is. This is the gating process companies use to whittle down their list of candidates. You will not get a second chance here. This is the make-it-or-break it moment that determines whether or not you can be in the running for the job. You know how strong the competition is. You know how many people are applying for your job. Companies and hiring managers don’t have time to interview them all. So they run you through this little conversational test to see if you’re worth spending an hour on in a regular interview. This way, they can meet with more people in less time. Time is the most valuable thing that hiring managers have. That’s why they do phone interviews. Time is money. If they’re talking to you, they’re not producing. If they can be more efficient with that time, they’re going to do it. They get some extra bonuses out of it, too. For one thing, there’s less commitment involved. In a phone interview, they don’t feel bad if they decide to cut the call short because they’ve decided against you in the first few minutes. It’s a lot easier for them to give you a thumbs down and move on if they’re not looking at you and haven’t gotten to know you. Job seekers fail in the phone interview for two major reasons: they don’t take it seriously enough, and they don’t take into account the unique challenges a phone interview poses for them. Phone interviews, just like other interviews, are really all about communication. Here’s the problem: the vast majority of communication between people is visual, not the actual words they say. Think about body language, facial expressions, gestures, all the things that affect how your words are coming across. Those visual cues really do give you an advantage. On the phone, those cues are gone. phone interview as seriously as a face-to-face interview, and you learn to work with the unique circumstances of a phone interview, you can succeed. Each article in this series will give you another “lesson” in phone interviews: How to prepare, what to say, how to follow up, and much more. 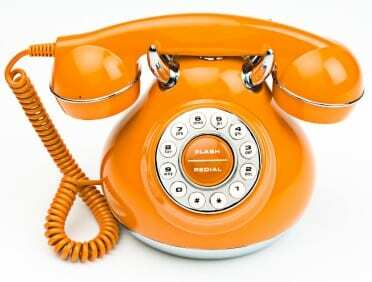 There are so many details involved in a good phone interview that you might not have even thought of. That’s OK…we’ve thought of it for you. All you have to do is follow along. Come back often in the next few weeks to see all 37 phone interview tips. Not getting our newsletter yet? Sign up below to get Peggy’s best tips. Hi Peggy, I just wanted to stop by and thank you for all these wonderful resources. I am a few weeks out from completing postgraduate studies as a mature age student and will be interviewing for positions in mid September, 2013. I will be stopping by your site and blog over the next few weeks to start my preparation, and have subscribed to some of your resources. Phone interviews are not my favorite I must admit. For some reason I am more nervous on the phone than in person, so these tips have really helped. Hi Peggy, this lesson is consider as one of the best lessons I ever gone through in my educational so journey. I do appreciate you a lot.